Remember way back when when consoles came in black or gray? Then amazingly consoles with color appeared, and all was good. We love the Nintendo DSi with its nifty dual cameras and coming DSi Facebook integration. We are curious though why Nintendo has only released two colors here in the US, black and blue when so many other colors and even special edition versions are available in Japan? Normally we wouldn’t complain about the cool toys the Japanese get that we never do (like these PSP accessories the US will never see) but in this case we feel like complaining a little. 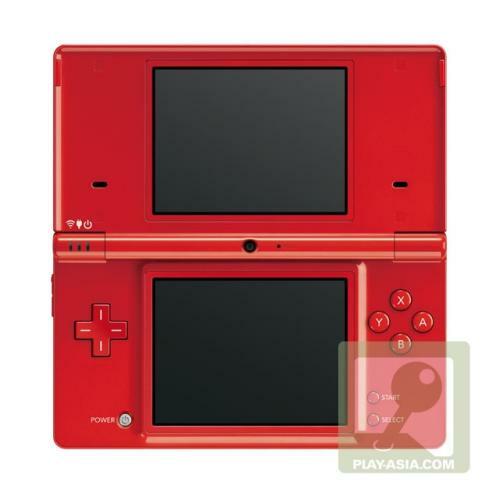 Play-Asia has all the special edition DSi handhelds you could ever want to import but beware, they are region locked which means you’re stuck playing Japanese games only. Boo.